Things are a bit grim at Twitter these days. Growth has stalled and there’s a general sense that if it doesn’t un-stall pretty quickly, the story will not have a happy ending. As is its wont, Twitter management has responded to the crisis by adding meaningless features that are either pointless or annoying and which no one asked for in the first place (longer direct messages, polls, hearts instead of stars, etc). None of these moves even begins to address what I see as the real reason user numbers have peaked, which is this: when you join Twitter, you start with zero followers. Okay, you might pick up a few relatives right away and there are those weirdos who follow anyone who follows them but, basically, you’re talking to yourself. Followers show up eventually, if you persist, but it takes time and patience. No one has those, least of all on the Internet, where there are distracting cat GIFs and, I’m told, pictures of bottoms freely available. 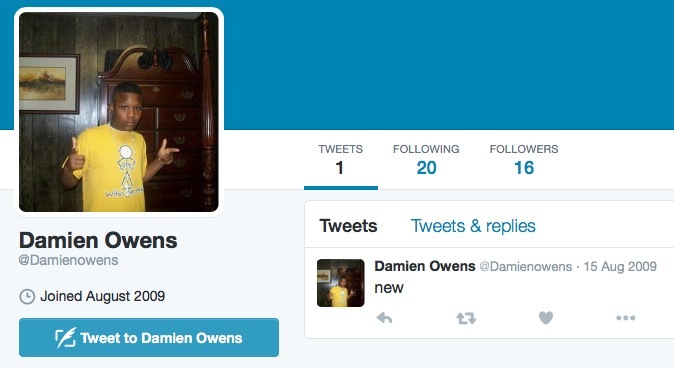 When I joined Twitter six years ago I tried to use the handle @damienowens but it had already been nabbed by a namesake. That guy is pretty typical of the people Twitter is losing, I bet. He signed up, tweeted once — a refreshingly blunt ‘new’ — then realised there was no one listening. And off he fucked, never to return. What Twitter needs, I think, is a sort of buddy system. The moment you sign up, boom, you’ve got (say) one hundred followers. A broad mix. People from your area and people from the other side of the world. People who share your passion for Bojack Horseman and people who have never heard of Bojack Horseman. It would be totally voluntary, of course. Existing users would only find themselves suddenly following strangers if they explicitly opted in, and they’d be free to immediately unfollow if said stranger turned out to be racist or a men’s rights activist or someone who thinks Katie Hopkins ‘tells it like it is’. Twitter’s problem isn’t that no one tries it. It’s that people try it, tweet once or twice, feel stupid, and leave. That’s what needs to be fixed. Give newbies an automatic audience. If they still leave, it was never going to work out anyway.